Misfit is launching a new Shine accessory, wrought from recycled plastic, as part of Coca-Cola and will.i.am's Ekocycle initiative. Yes, it is a bit of a slow news day today. The new accessory provides users with a new way to wear the health-monitoring, stylish timepiece. In other words, it's a strap. In fact, it's arange of them, all made from recycled PET bottles. 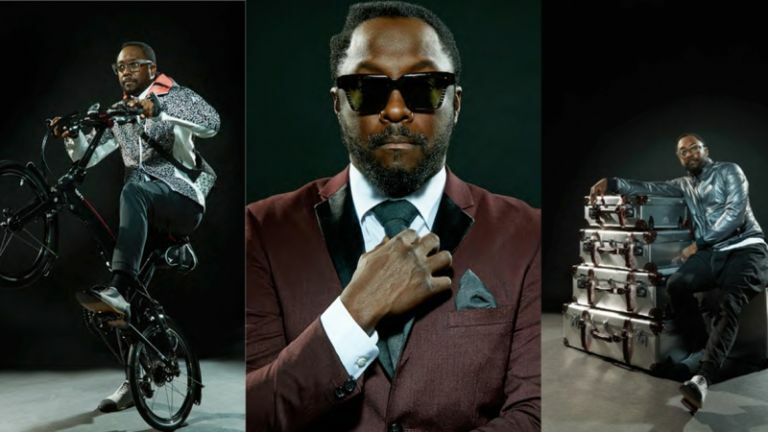 It's part of poly-competent Black Eyed Peas frontman will.i.am'sEkocycle project, which he very kindly talked to us about a while back. Thisis both an ecologically-friendly initiative aimed at reducing waste (by ensuring plastic bottles are turned into luxurious wearables instead of ending up in land fill) and a pop-up emporiumin Harrods. It's a pretty nice shop, actually - some great cagoules. As a handy side benefit of this Gaia-saving recycling drive, Shine users will now have four more optional colours to choose from: red, grey, black and, er, red, grey and black stripes. Those who aren't Shine owners can buy a special edition set, which includes the Ekocycle Field Band and a black Misfit monitor, lovingly embossed with the Ekocycle logo. The limited edition set can be bought from Misfit's online storeas well as atHarrods. Meanwhile, will.i.am is also doing this and this.